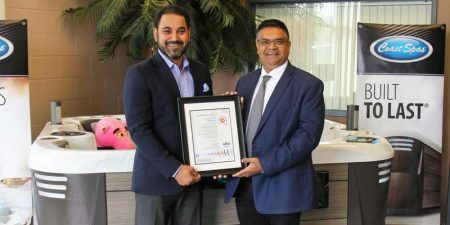 Coast Spa Manufacturing, a maker of hot tubs and swim spas in Langley, B.C., has received ISO 9001: 2015 Quality Management Systems (QMS) certification through SGS Systems, an inspection, verification, testing, and certification company based in Mississauga, Ont. 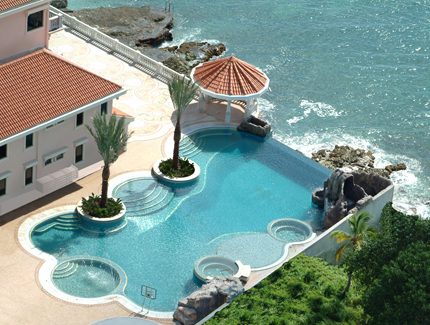 Gib-San Pools Ltd., a Canadian custom pool builder, recently acquired its third International Organization of Standardization (ISO) certification with the completion of the Environmental ISO 14001 registration. 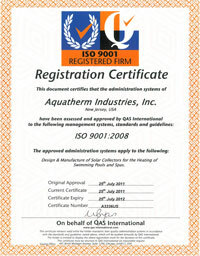 Aquatherm Industries, a manufacturer of solar pool heaters in Lakewood, N.J., recently became the first U.S. solar collector manufacturer to achieve International Organization for Standardization (ISO) 9001:2008 registration.